Are you looking for a quality professional photography services in Wailea, Maui? Your Maui vacation deserves to be remembered with professional quality photos. Finding an affordable-reliable photographer while running around on vacation can be a real hassle. Well not anymore; Blinnk Photography delivers a fast, fresh, fun photography experience for families, couples, individuals and groups. We can accommodate children of all ages, and groups of any size. Our photos are always professionally processed and available in high resolution quality. The best part? You are under no obligation to buy. You simply choose the photos you like best. Are you on a family vacation in beautiful Maui, Hawaii and looking to record this special time together with professional photography services? Schedule your 45 minute family photography session today and join us for a fast, fresh, fun photography experience that we are sure everyone in the family will enjoy. Maui is an amazing place. The combination of its beauty and its remoteness help bring our lives into perspective. Whether it’s with your spouse, significant other, or just someone special in your life; celebrate these wonderful moments together with professional couple photography. What better place can you imagine to take high-quality professional portrait photographs, than the beautiful island of Maui? Celebrate this special trip and reward yourself with a variety of professional portrait photos. Receive a range of photos; from casual to formal; all in high resolution quality. Blinnk provides portrait photos for individuals, couples, families, and groups of all sizes. Schedule your photo shoot today. Based out of Wailea Beach, Blinnk Photography of Maui is located on the southwestern coast, ideally situated near some of Maui’s finest beaches. 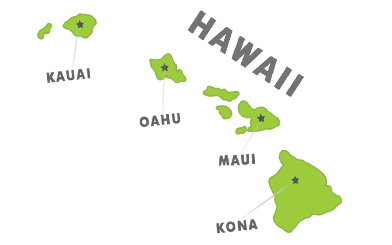 Our Maui location is our flagship branch. We opened our doors in early 2013 and have been serving vacationers and locals ever since. So what are you waiting for? Book your photo shoot at Blinnk Photography of Maui today!